Ok, So you want to start a minecraft server. Well theres some stuff you need to do first to let your friends connect, if you want to run a minecraft server for just you and the people on your WiFi/house, then this tutorial isn’t for you. Secondly this tutorial will not require Hamachi. Firstly you need to have already done these things. 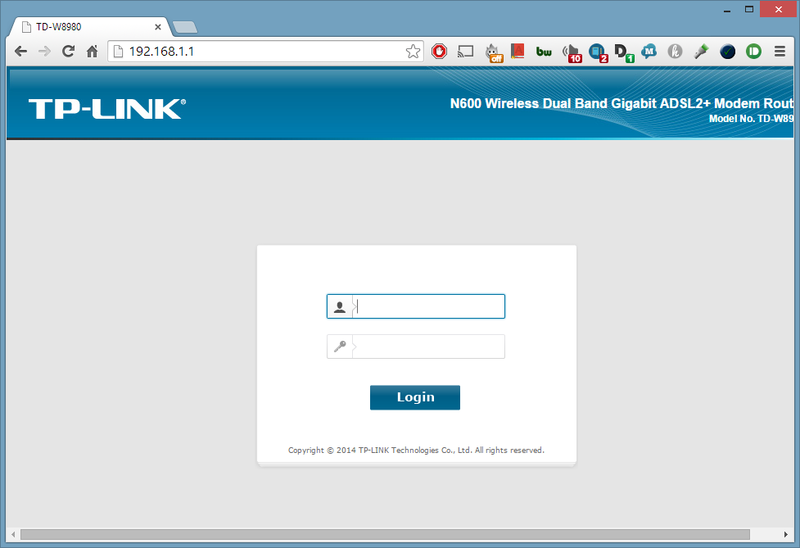 Have your router admin and password ready. Now that you have those things we need to make sure everything is 100% ready, so lets start. Before we try to let friends connect we better check that we can. 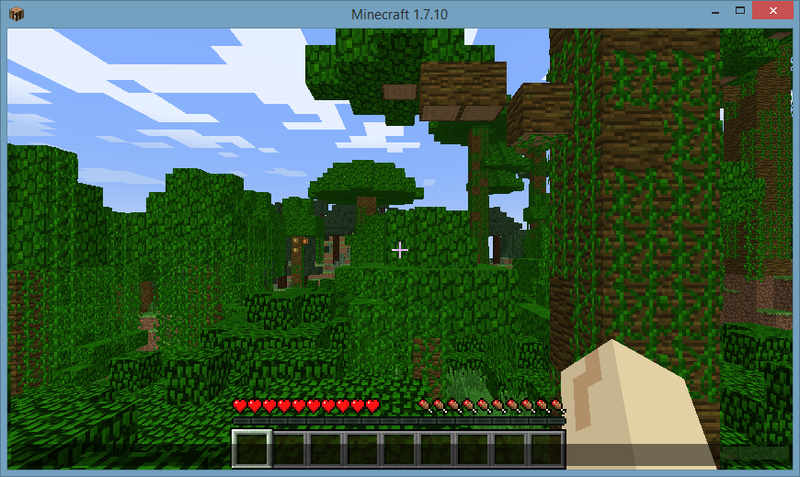 First, start your minecraft server, if you don’t have one, you can download it here or if you are not on windows or aren’t sure, download it here. if you are not using minecraft_server.exe then you will need to make a run.bat file you can do this by making a text file called run and then saving it as run.bat with the contents below. put these in your downloads folder in a folder called minecraft server. Now we need to connect to our server. 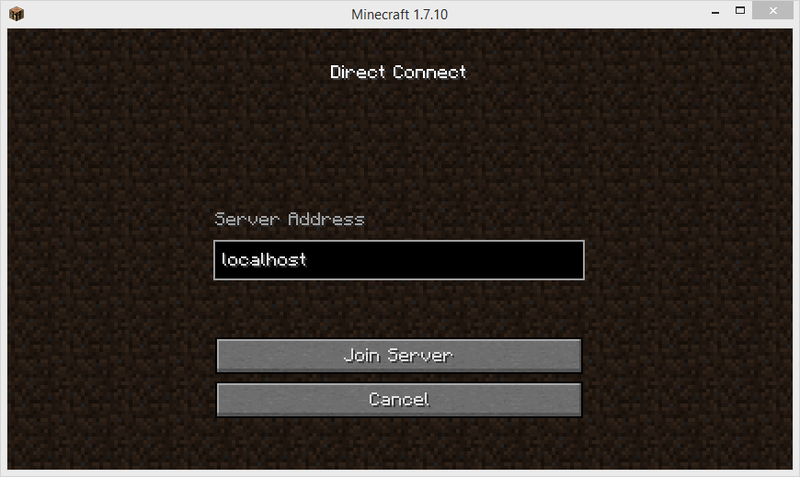 Connect to ‘localhost’ in your minecraft game. and when you connect you should see this. congratulations, you have successfully connected to your own minecraft server. Now you have done this you can move onto the next step to allow your friends to connect, if you couldn’t connect, something is wrong, check the troubleshooting section. you also need your LAN IP. On your keyboard press the WIN + R keys at the same time. you should have seen these after you have the black box, you don’t need the white one, it should close automatically when you click ok.
and press enter, you are looking for one with the words default gateway, but you will also need IPV4 address. 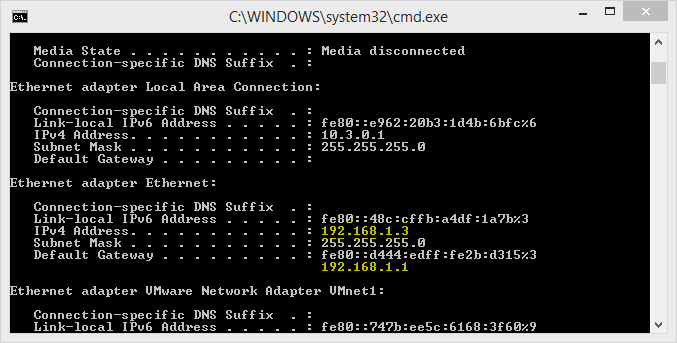 you now know your default gateway and LAN IP. After this tutorial, you should have exactly 3 numbers, all of witch you WILL need. your LAN IP, your WAN IP and your default gateway. You need these three numbers, without them you cannot continue. Now that we have the numbers from the previous step, lets put them to good use, open your web-browser and type in the numbers in the address bar, (do not Google the numbers, that’s not what you want silly). now you need to login, if you dont know your login, you need to Google your make and model of your router for the default passoword, if that didn’t work, it may be that someone else changed it, ask someone in your household who set it up or check the troubleshooting section. then you can check that your port forwarding has worked by going here and typing 25565 as the port number (make sure your server is running or this test wont work). Congratulations, you have successfully configured and allowed your minecraft server to be used over WAN, your friends can now connect to your minecraft server using your WAN ip, which in my case is ‘87.34.55.23’. While you are still logged into your router, it is a good idea to statically assigning your computer’s IP address to prevent it from breaking, you can do this by going to the address reservation tab in your DHCP settings and adding your computers LAN ip to the list and selecting your computer from the connected clients. Try connecting to ‘localhost’ on the machine the server is running on, did it work, if it did make sure your port forwarded correctly, see if your LAN ip has changed. see if your WAN ip has changed, this may be because you have restarted your router or computer, in which case you will need to statically assign your IP addresses to prevent this. I don’t see the boxes in the who am I section. 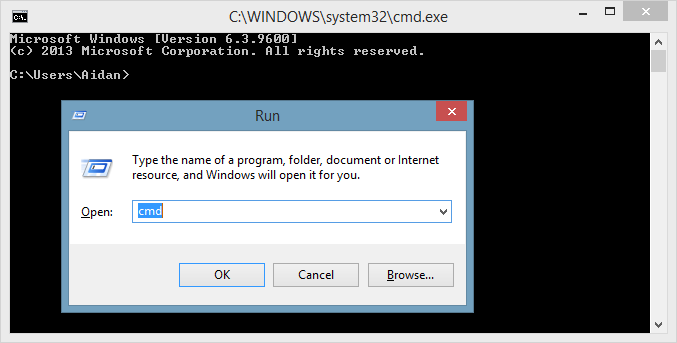 Ok, it looks like your run file is not working correctly, try double clicking the jar file, did that work? if not you may need to re download it. It says Failed to bind port! Ok, it looks like youve opened your server more than once, even though you may only see one server running, double clicking the file can also run the server, if you know how to go into task manager and end the task, or if you dont, restart your pc. If none of those work, you may have something already using the port your trying to connect to. How do I op myself. 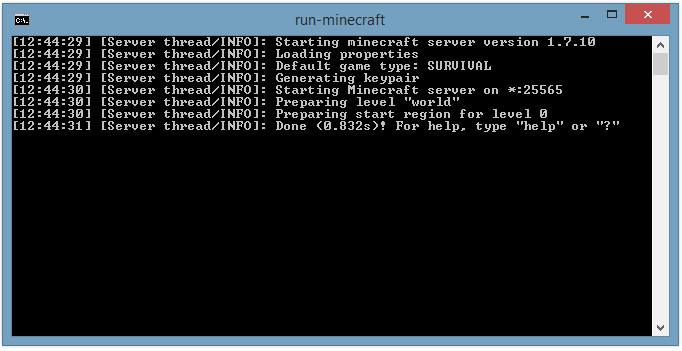 Simple, click on the server box and type, you can use commands in there. it says ‘Error: I could not see your service on 87.34.55.23 on port (25565)’ (the IP may be different) It looks like you have not configured port forwarding correctly, or your minecraft server is not running, you computer may also be blocking the port, google how to allow a mincraft server through a firewall. 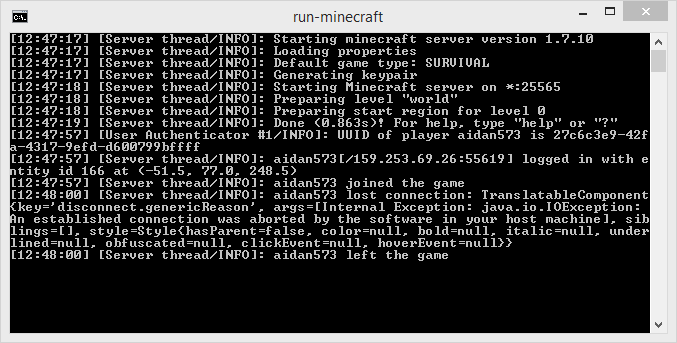 you may also be running on a different port, look in your server for the line Starting minecraft server on *:25565, is this correct? make sure that your port numbers are accurate. I don’t know my router login is it the same as my WiFi password? No, but try it anyway. I don’t know my router login It’s usually unchanged form the default. Look at the router, is the login information on the box? Sometimes it is a random set of letters and numbers look on the router it’s self for information. Ask family if they know or consult your ISP for help. It may also be ‘admin’ ‘admin’ or ‘admin’ ‘password’ for the login username and password. Google the make and model of your router for help. If you still cannot find it ask someone else to do it for you. Do not reset the router if you don’t know how to set it back. The server does not run! There may be a file called eula.txt, change the word ‘false’ to ‘true’. this is because minecraft has changed their eula. My server has lots of errors! Yep, because bukkit was taken there are some now, also when starting for the first time it may have to create some files necessary to start that can cause errors, just restart and you should be good to go.